Racquel Keller creates painting, drawing, print, photography, sculpture and assemblage art. She constructs imagery inspired by the natural world and her collection of vintage objects, with an eye toward capturing the feeling of nostalgia they evoke. Racquel was born in Northern Virginia and has resided in Maryland since 2003. She earned her B.S. in Graphic Design, with a concentration in Fine Arts, from The American University and also holds a Certificate of Leadership Coaching from Georgetown University. Presently, she works as an Art Instructor, Artist and Creativity Coach. She is currently an instructor at the Greenbelt Community Center and facilitates select Draft and Draw programs at The Phillips Collection in Washington, DC. 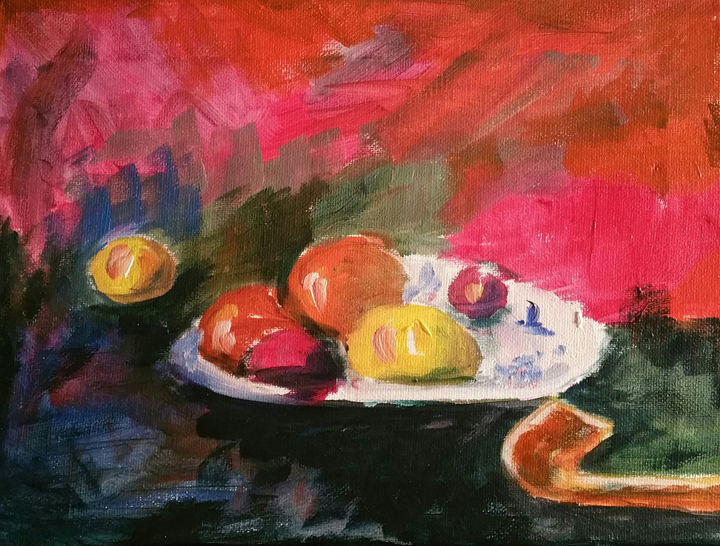 Her classes have included, amongst others, Plein Air Painting, Still Life Painting and Watercolor. She regularly offers workshops on a variety of mediums and subjects. She actively exhibits her work in the DC Metropolitan area.